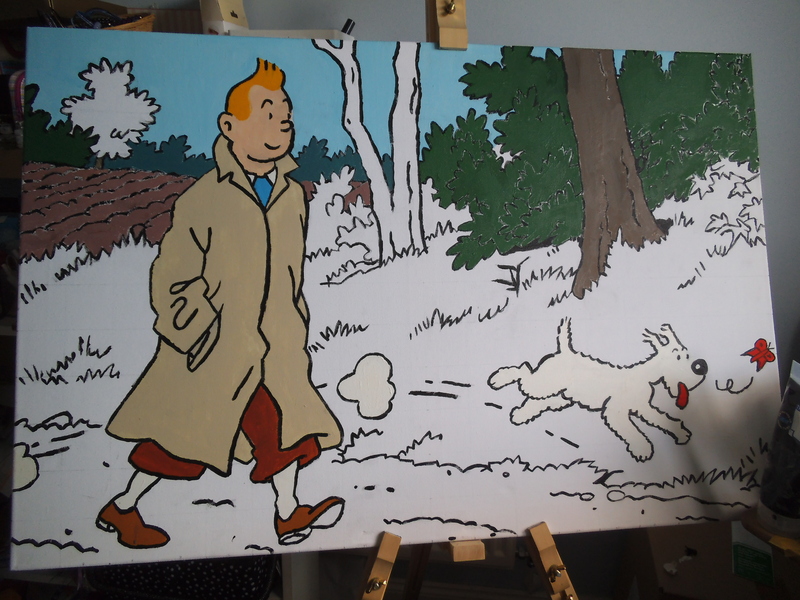 After my successful painting of Cookie and Candy, I felt newly inspired to do more painting, more frequently. 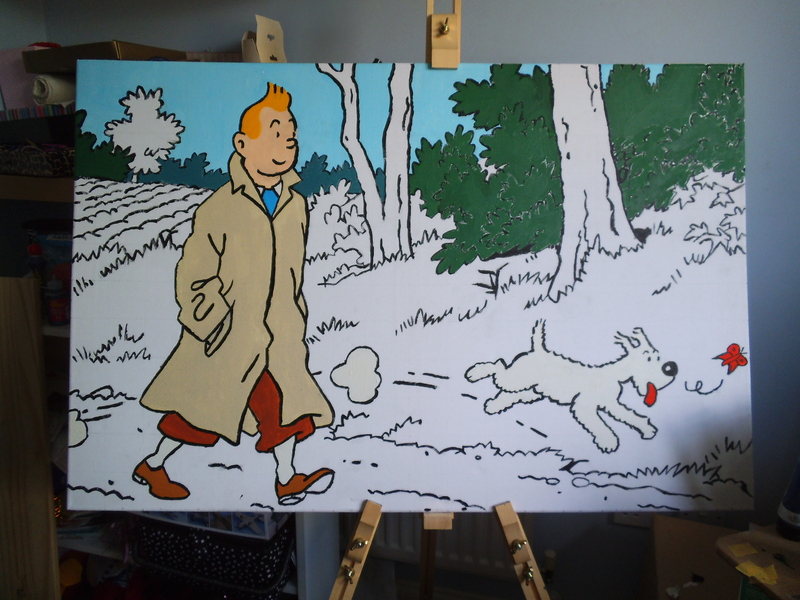 I decided to carry on my theme of reproducing pictures of my favourite poeple, and while a project to create a portrait of James Ellroy stalled temporarily, I decided to paint a picture of one of my all-time favourites – Tintin. 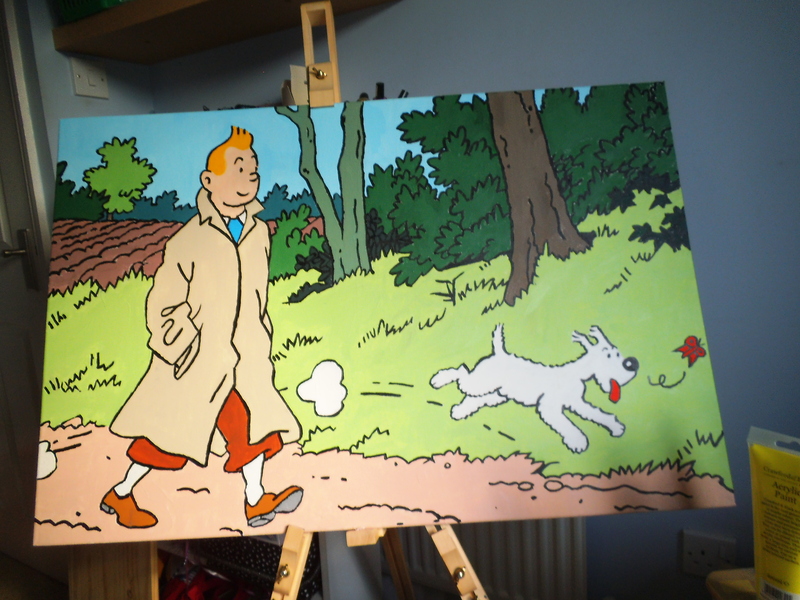 I decided on Tintin because it allowed me to tick several boxes at once. The colours would remain flat blocks on the whole, but it would also provide a new challenge in that I would be working in colour rather than monochrome, and I would have to reproduce the colours of the original image as closely as possible. I will freely admit that I am not very good at colour mixing. I did a lot of looking for the right image to copy. After a while, I settled on the one below. After a long selection process, this is the image I chose. 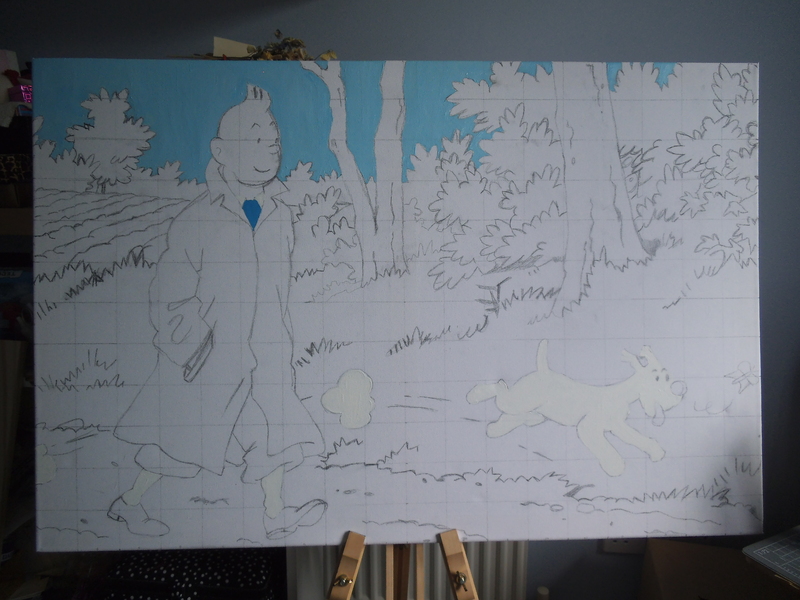 Rather than go into massive detail, I’ll simply post photos of the progress with a caption. All drawn out and ready to paint! I chose the blues as my starting point. 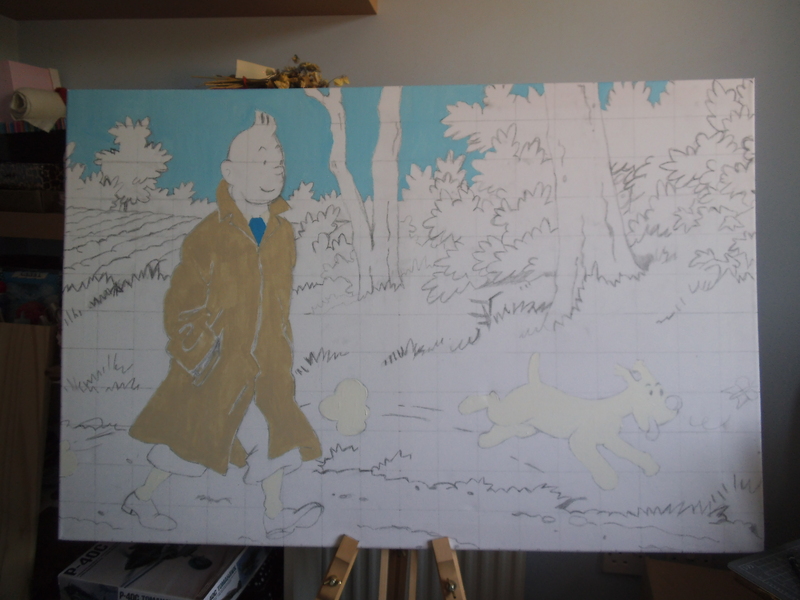 The cerulean jumper came straight out of the tube, but then I had a load of paint left over, and so I mixed the pale blue for the sky with the leftovers. The coat and sky filled in. 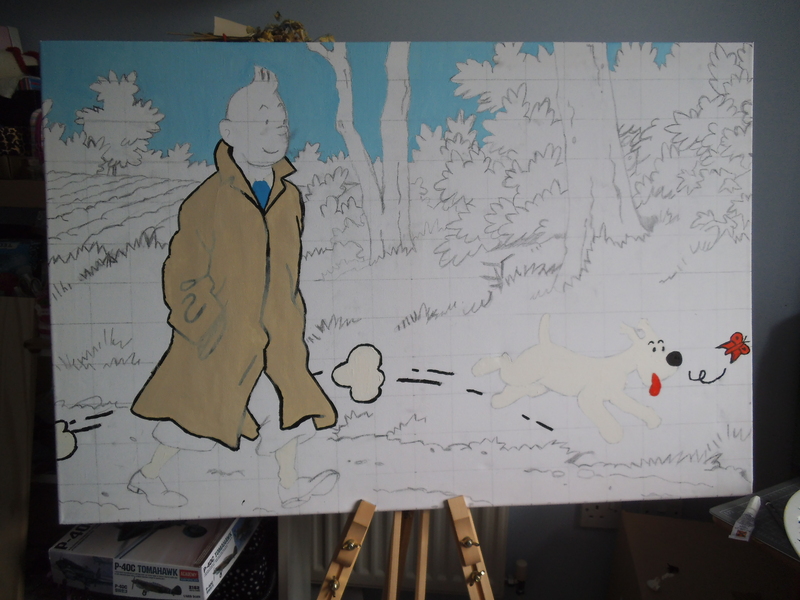 Some outlines added. I was concerned that the paint seemed to be covering the pencil lines slightly too well! Snowy’s tongue and the butterfly coloured in. 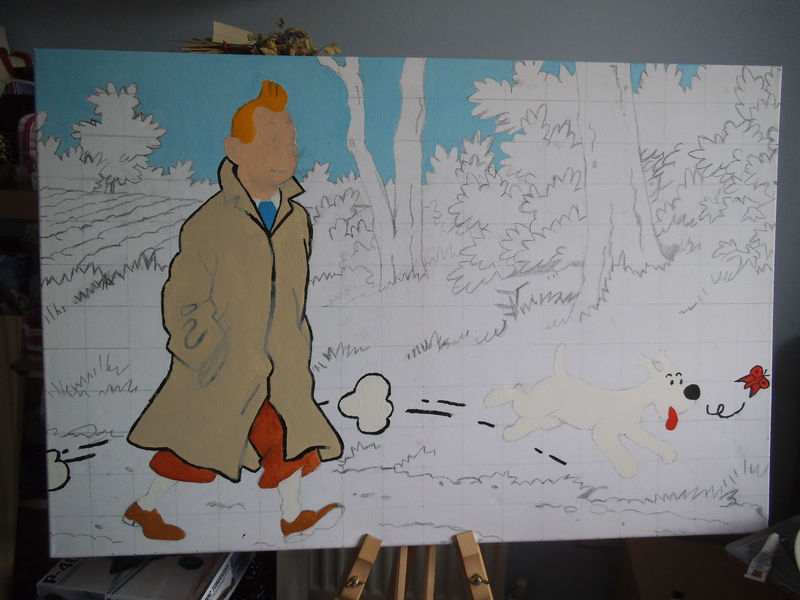 A few more colours added – trousers, shoes, hair, and skin. 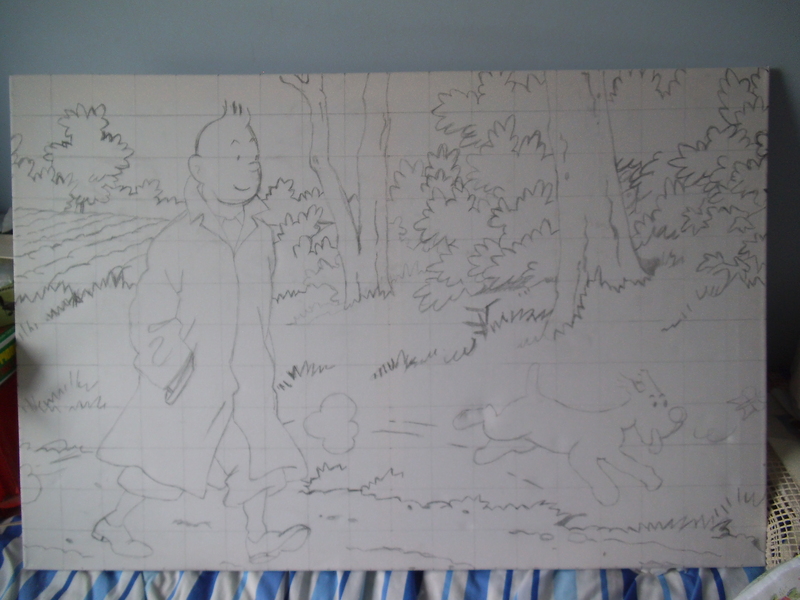 I filled in the rest of the outlines and coloured some of the trees in the background. 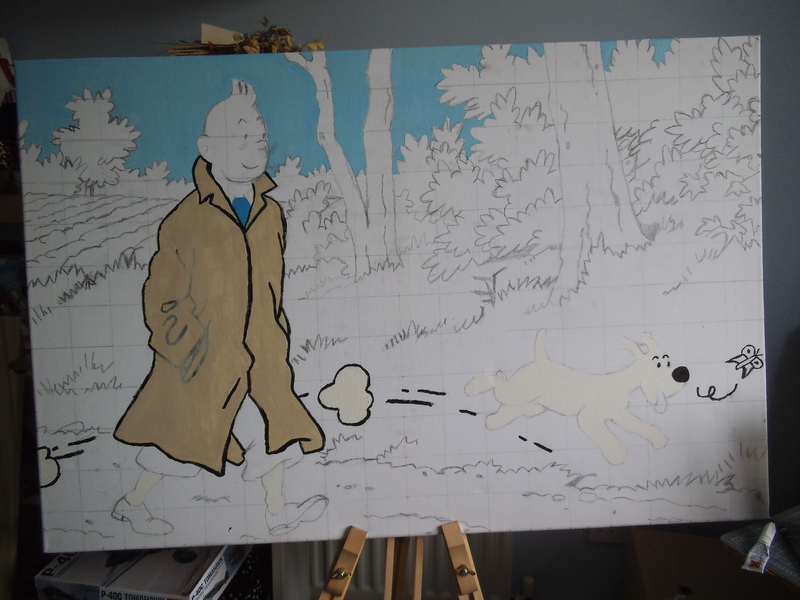 The picture is really beginning to take shape at this point. The field is coloured this time. 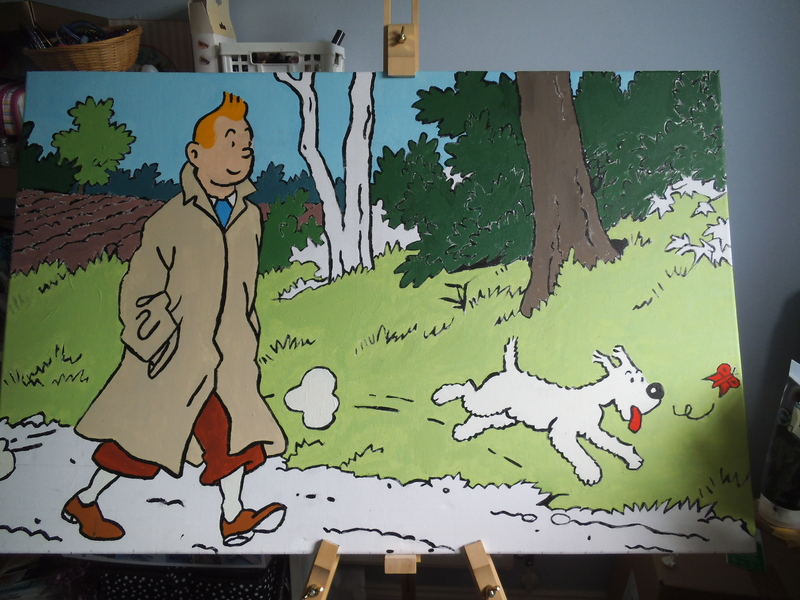 The grass was a mammoth task – making sure I had enough of the colour to keep it uniform across the whole picture.